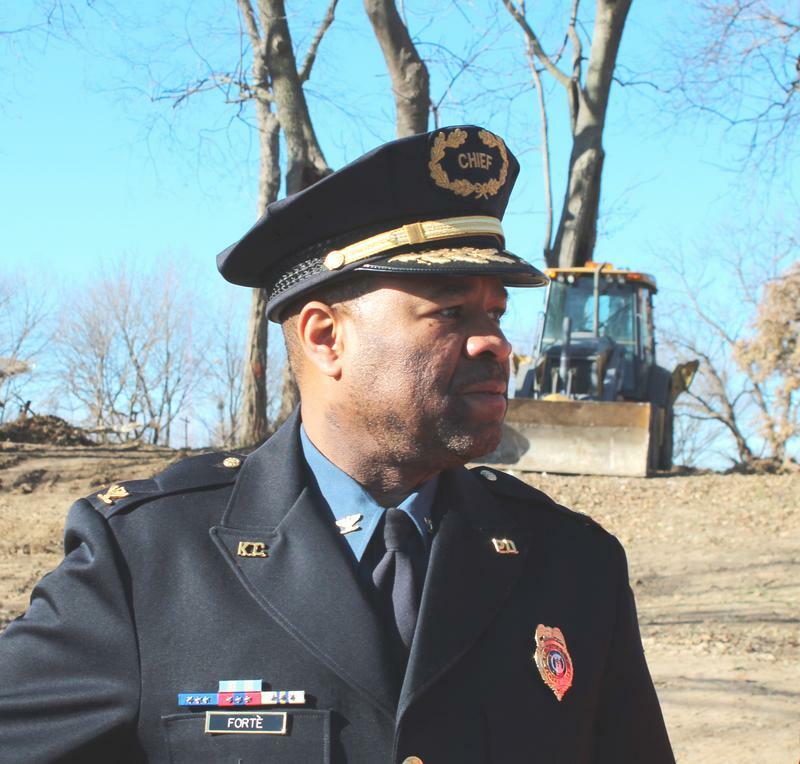 The East Patrol campus, at 27th and Prospect, is named for civil rights leader Leon M. Jordan. 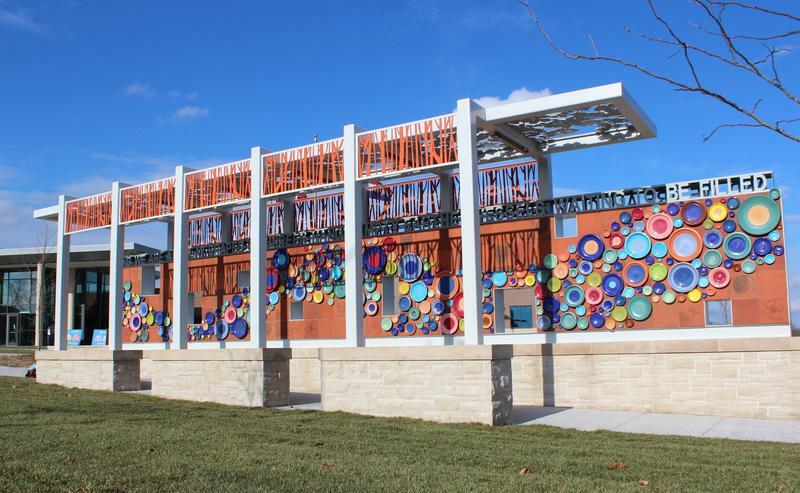 The entryway features a public art installation with multicolored ceramic bowls created by area residents. Artist David Dahlquist, of Des Moines, Iowa, won the commission for the one percent for art project. Fabric artist Sonie Joie Thompson-Ruffin collaborated with Helix Architecture + Design on what she calls "glazed masonry quilts" near the entrance. Nearly 70 buildings were demolished on Kansas City’s east side to make room for a new police station and state-of-the-art crime lab. 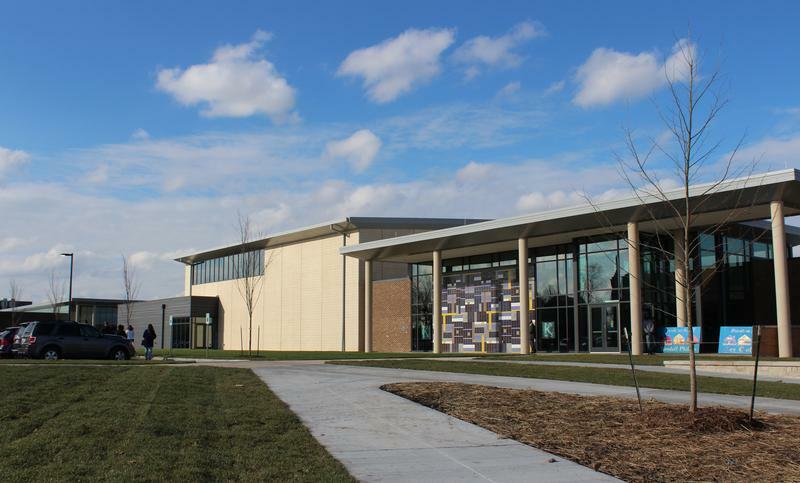 The $74 million Leon Mercer Jordan Campus, funded by a city public safety tax and bonds, opened to the public with tours of the facility at 2640 Prospect Avenue on Tuesday. A jazz band played in the gymnasium, as visitors flocked to the Kansas City Police Department's new East Patrol division — walking through areas that are usually off-limits, such as interrogation rooms and holding cells. They also toured spaces that will stay open to the public, like the computer lab and community room. "I think it's just wonderful," says Sharon Cheers, who's been following the project. Her grandparents lived nearby at 22nd and Forest, until the 1980s when they moved to make way for Bruce R. Watkins Drive. "I think they've done it right, opening it up, making it spacious, putting in amenities for the community," she says. "So that law enforcement and the community can always work together and be together." Alvin Brooks, former Kansas City Mayor Pro Tem and a retired police officer, stopped to talk while waiting in a line for the buffet. Brooks describes the opening of the East Patrol station as "bittersweet." He and his wife got married 65 years ago just a few blocks away. "A number of people who are our age and a little older still lived there, owned their homes, and had to be uprooted," Brooks says. "But at the same time, there was a lot of decay, a lot of houses that were abandoned, drug activity, prostitution activity. And look at it now." The 17-acre campus is named after Leon Mercer Jordan, a former police officer, politician and founder of Freedom, Inc. Jordan was killed in 1970 outside the Green Duck Tavern, just north of the police station. On this edition of Up To Date, we continue our ongoing conversation about the economics of Kansas City's east side. Rev. Dr. Vernon Howard is with the Southern Christian Leadership Conference and the Urban Summit. Councilman Scott Taylor represents the 6th District. He is chair of the Special Committee on Small Business. Councilman Jermaine Reed represents the Kansas City’s 3rd District. Kansas City's new east side police station and crime lab on Prospect and 27th Street is still under construction — the campus is slated to open next year. Meanwhile, the city is still facing litigation over how the four-block area was selected for the campus, and how the people who lived there were moved to make way for the new construction. Starting in the fall of 2012, photographer Matt Rahner documented the residents of the Wendell-Phillips neighborhood between Prospect and Brooklyn avenues and 26th and 27th streets. 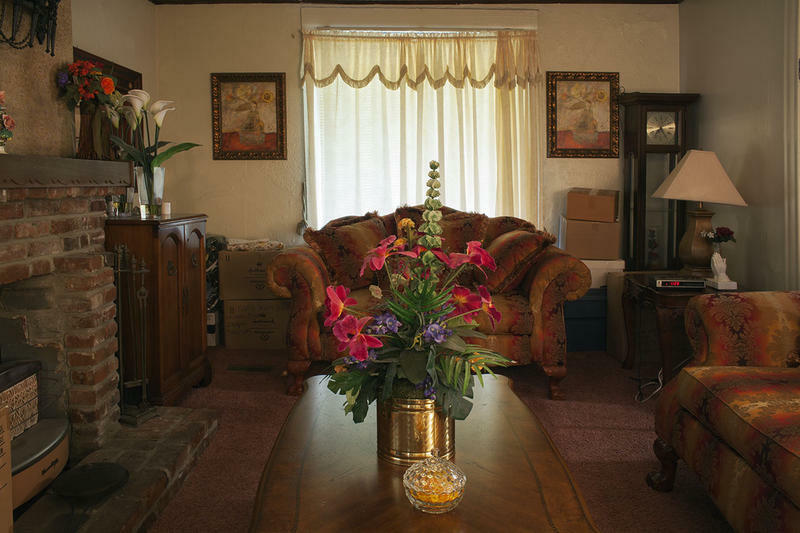 He wanted to capture the final months before the demolition of their homes. The Kansas City Council has come up with a compromise they hope will satisfy those who wanted the new East Patrol police station named after Leon Jordan, a former police officer and the founder of Freedom, Inc, while also satisfying those who opposed it. Councilman Jermaine Reed explained the idea: name the campus, not the police station. A parade of black community leaders and former council members spoke in favor of the naming to the Transportation and Infrastructure Committee. All cited the historic contributions made by Jordan to the city and to law enforcement. Ground has been ceremonially broken for the already-in-progress East Patrol Police station/crime lab construction in Kansas City, Mo. Chrome plated shovels were planted in dirt but it was obvious heavy equipment had been working for weeks. About 80 houses were torn down for the 17-acre, $74 million project. Nearly every speaker talked about those who gave up property, some unwillingly. Though, there were no protestors visible at the gathering. Kansas City's new crime lab won't be as big as the Police department hoped, but the mayor is still calling it a victory. The city council stopped about $6 million short of funding the construction of the full 71,000 square foot crime lab police wanted.